I started really running once I graduated college; I mean as its own activity rather than just a warm up for something else. 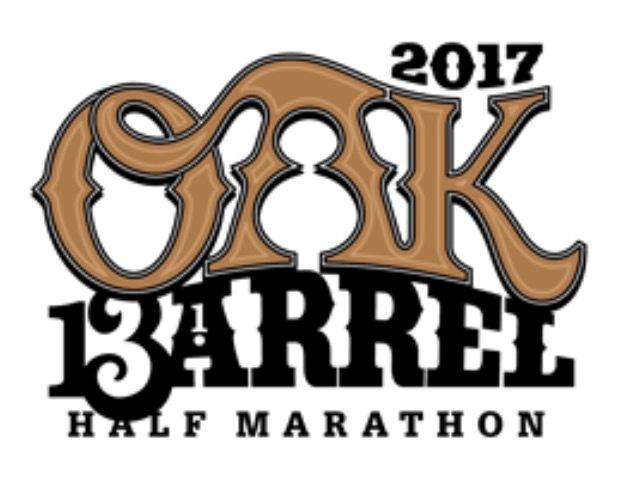 At the risk of feeling really old, that means I've been running for about 10 years now. Anyone who has been running that long knows that you go through some clothes in that time - sometimes things wear out, sometimes styles change, and sometimes your needs change. 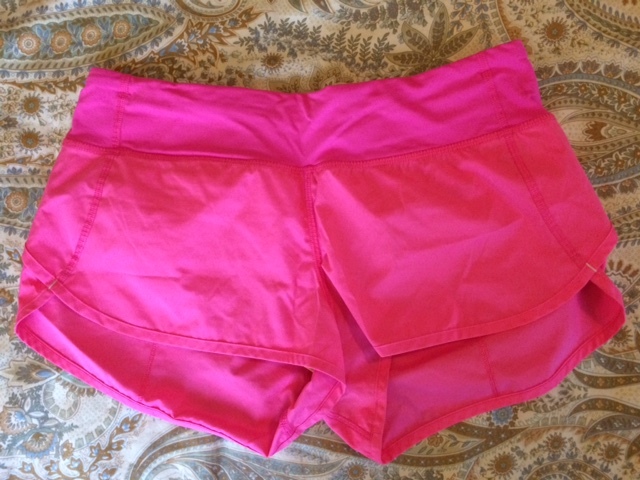 Over the weekend, I picked up a new pair of running shorts and started thinking back about how my running clothes have evolved. 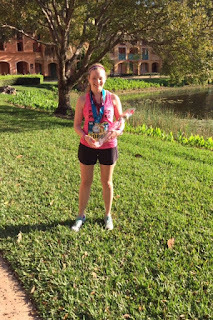 I went back over the shorts I had selected and thought about what it meant for me in my life, my running life, and in the evolution of running for "average" folks (okay, that sounds dramatic, but hang in there and I think it will make sense). You might be thinking, wow you still have all of these shorts (hoarder much)? Not all of them, but I do try to choose things that will last, so some of them have hung in there! Okay so let's take a run down memory lane! 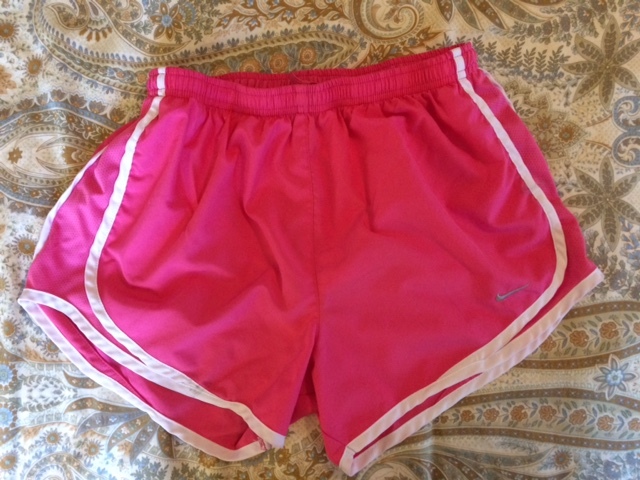 Ah, the Nike Tempo shorts - I'm pretty sure every runner out there has had a pair of these at some point. When I first started running, these were the latest and greatest thing and you could generally find the "outdated" colors on sale at big box retailers. Right out of college, I didn't have a lot of money - certainly not a lot of expendable income to spend on running gear while I was still new to the sport. These fit the bill for several years and I accumulated a number of different color combinations. Well I still have a few pairs, but I use them primarily when I'm doing house or garden work. 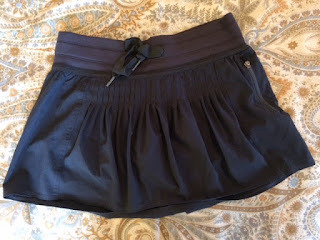 Enter the RUNNING SKIRT! I stuck with running, started making a little more money, and discovered Lululemon. I still could only afford to buy things on sale, but they had cute clothes that were well made and fit like a dream. I retired my Nike Tempo shorts and jumped into running skirts hard. It was also at this time that the prevalence of women's races really took off. That's not to say that they didn't exist before, but there were more now than ever before and it seemed that new ones were coming around all the time. More of us were not only running, we were embracing our femininity while running. I'm proud to say I ran my first marathon wearing a running skirt. They are still really popular today, but I've found myself going back to shorts. I still have nearly every pair because they are super well made and have held up over the years. I still wear my skirts, but not for running. I'll run errands in them, but my favorite use is wearing these at the Disney parks! They are cute, breathe, and dry quickly if you get soaked on a water ride. When I got back into shorts, I started to gain more confidence in myself and my running. I transitioned to the Lululemon Speed Shorts. Previously, I considered these way too short for me, but I was running faster, stronger, and wanted clothes that stayed out of my way. The shorter in the front/longer in the back design really worked out well for me. These shorts don't move, look super cute, and come in great colors. New ones are always coming out and I have amassed a number of them. They just make you look and feel fast! These are still in rotation, but I reserve them mostly for shorter runs. With today's purchase, I realize I'm transitioning again. You might not be able to read the little tag, but it indicates a "relaxed" fit. 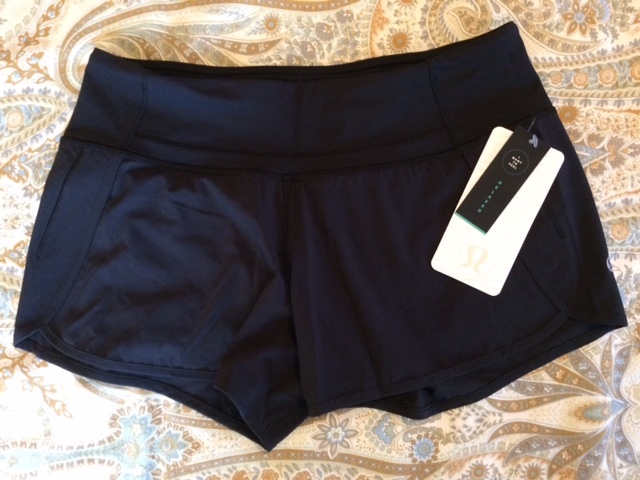 These are still Lululemon (the Run Times short), but a different style. I inherited a number of things from my mother, but one of those physical attributes is my legs. I do not have the super thin legs that many runners do. My mom and I both have muscular, strong legs (no matter what physical activities we've been involved in over the years). This is even better now that "strong" seems to be the new skinny! I like them, but running in super short shorts (ah hem, Speed Shorts) can be tricky without Body Glide. These new shorts have a longer inseam and, while still looking super cute, will be easier on my thighs during long runs. Who knows what the future holds either! I'm thrilled to still be running and want to be for years and years to come, no matter what style of shorts I'm running in! What are you favorite shorts? Have your clothing preferences changed over the years?